Thanks to the improvement of the iPhone Calendar app, many users start using it to record important events. The app is very convenient to use, and it provides a very simplified interface which is helpful for the users write down the appointments or events they are going to do. After the latest version of iOS update, iPhone users may occasionally come up with the data loss in their iPhone, including calendar events. The data loss may be caused by restoring iPhone with iTunes or iCloud backup, or wrongly deletion by the users. The loss of calendar events may lead to consequences like being late for very important appointments, or missing the flight. Users will try to recover deleted iPhone Calendar on Mac when they come up with the data loss in their devices. If the users have saved the data in their iTunes or iCloud backup, they are able to get the lost files back by restoring their devices with the backup. This is known to all and is very easy to be done. Users need to erase all the settings and contents in their iPhone before restoring their devices with the iTunes or iCloud backup, which may cause a second data loss after the restoring process if the users haven’t saved the newly added files in the backup. Therefore, although using iTunes or iCloud to recover deleted calendar from iPhone is easy to be done, many users don’t want to use it. iPhone users are also able to get the deleted calendar events back if they have synced the calendar with their Gmail or other emails. At this moment, the users can view the calendar events within their emails. Users only need to tap Settings > Mails, Contacts, Calendars > Add Account > Google. Then users can sync the iPhone calendar with Gmail. Of course, when the calendars get lost in iPhone, users are able to get them back with this method. iPhone data recovery software for Mac also helps to recover deleted Calendars from iPhone 6 on Mac. 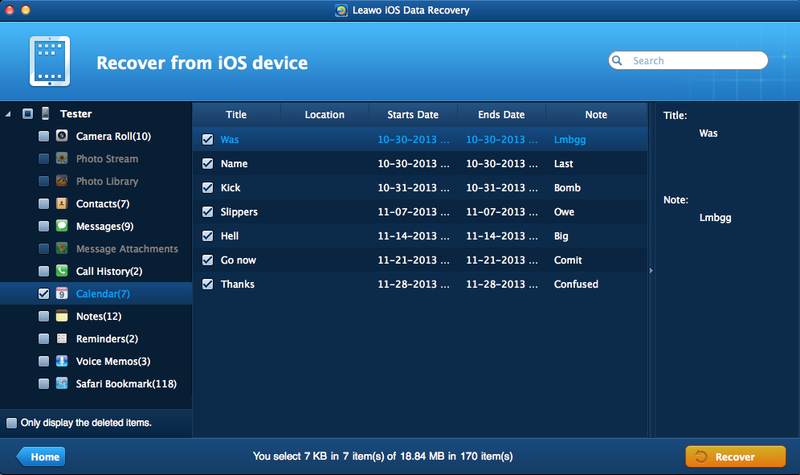 Among all the data recovery programs for iOS devices, Leawo iOS Data Recovery for Mac is one of the best. 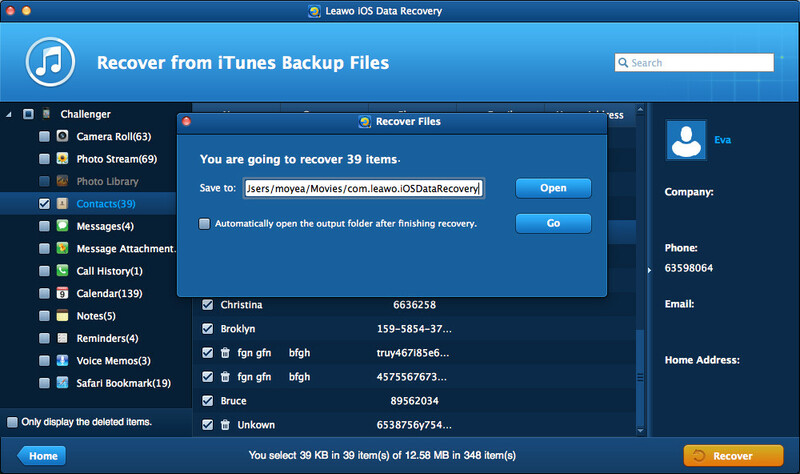 This software is used for recovering deleted files from iOS devices and iTunes backups, and it will export the recovered files to computer in viewable types. The following guidance will show you how to recover deleted calendars from iPhone on Mac, and you are allowed to free download the software to have a try. Note that the trial version will stop at the preview window. ☉ Multifunctional iPad/iPod/iPhone data recovery software for all Mac users. ☉ Extract up to 12 kinds of lost files in iPhone, iPad and iPod touch. 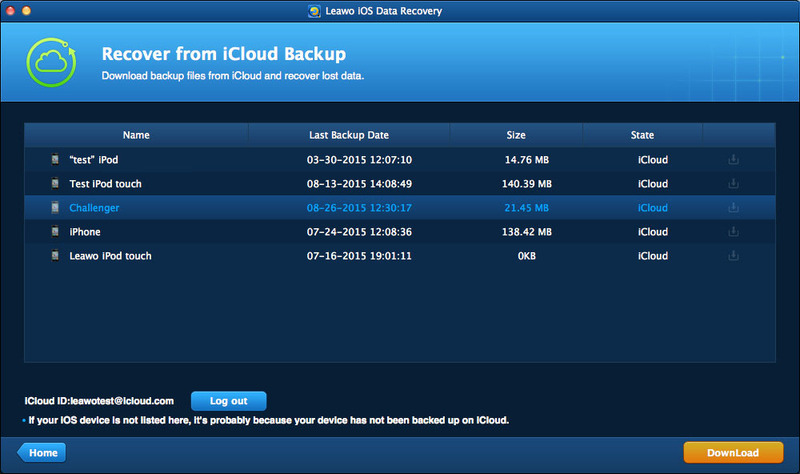 ☉ Recover lost data from iTunes&iCloud backup for all iOS devices! ☉ Get lost data back even the iOS devices are broken or damaged. ☉ Fully support iOS 9, latest iOS devices including iPhone 6s/6s plus, etc. 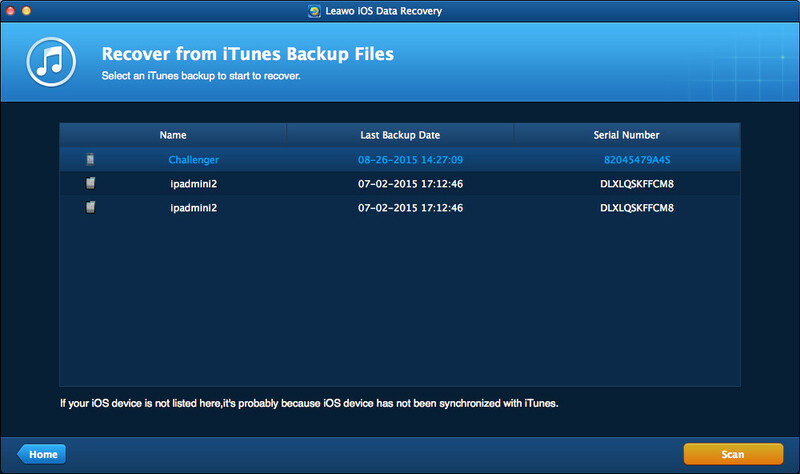 Run Leawo iOS Data Recovery for Mac on computer, and you will see two recovery modes. 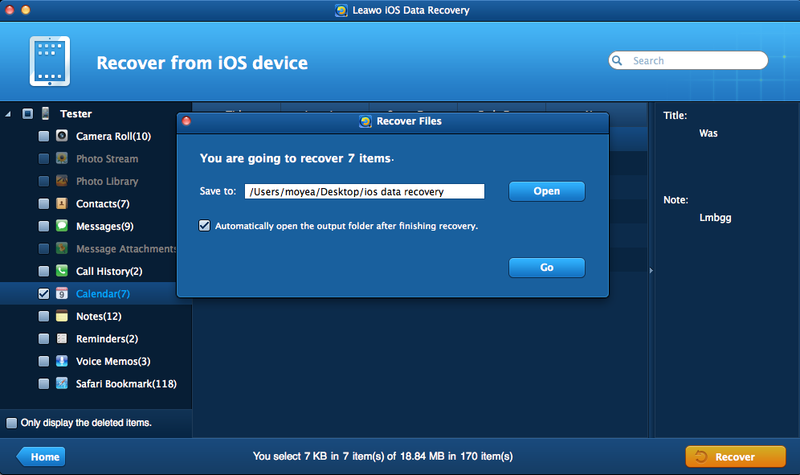 One is “Recover from iOS Device”, and the other is “Recover from iTunes Backup”. Choose the former mode and connect iPhone to computer with the USB cable. The software will recognize and analyze your iPhone. After the analysis, the software will start to scan the contents in your iPhone. It will list 12 categories in the left sidebar, and allow users to choose when the scan is done. Choose “Calendars” in the sidebar, and check “Only display the deleted items” at the left bottom, then the contents will show up in the right part. Check the ones you need and click the “Recover” button. After clicking the recover button, you will see a pop-up dialog. Click “Open” in the dialog to choose a folder on your computer to save the exported files. Then click “Go” to start recovering deleted calendars from iPhone. When the recovering process is done, you will get the recovered calendars in the target folder. The calendars will be saved in an HTML file, and it can be viewed on your computer with no efforts. 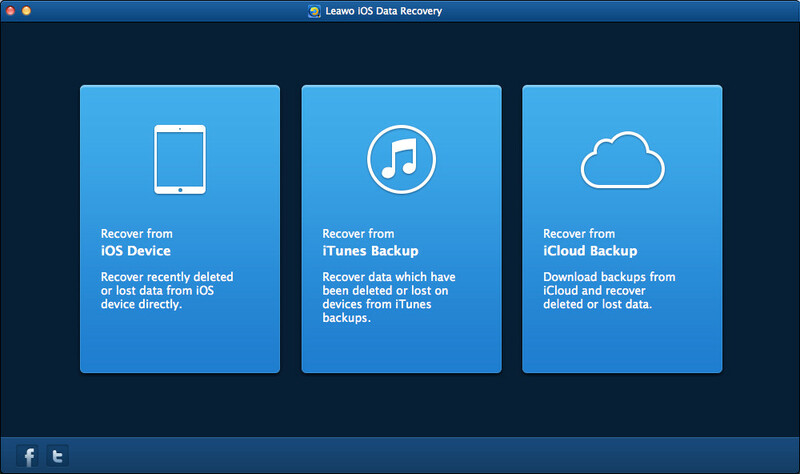 As mentioned, Leawo iOS Data Recovery enables users to extract data from iTunes and iCloud backups. The following guidance will show you how to do that. Step 1. 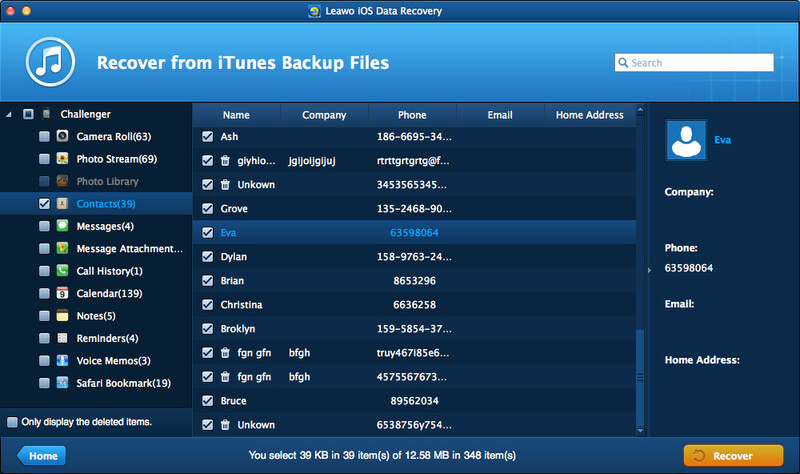 Run Leawo iOS Data Recovery for Mac and choose Recover from iTunes Backup. Step 2. Select the iPhone backup and click Scan at the right bottom. Step 3. The program will scan your iPhone backup. After the scan, check Calendars and select the calendars you need. Then click Recover. Step 4. Click Open in the pop-up dialog to choose a target folder. Then click Go to extract calendars from iTunes backup. Step 1. 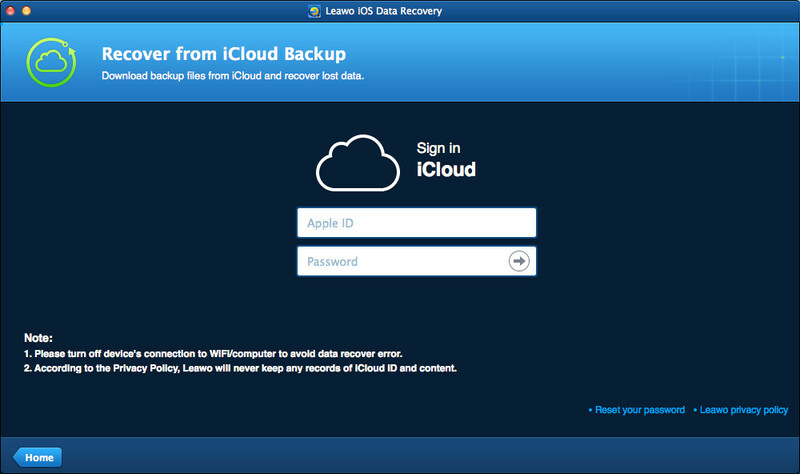 Run Leawo iOS Data Recovery for Mac and choose Recover from iCloud Backup. Step 2. Log in iCloud with your Apple ID. Note that the Apple ID should be the one you update your iPhone backup with. Step 3. Select the iPhone backup and click Download at the right bottom. Step 4. The program will download and scan the iPhone backup. After the scan, check Calendars and choose the calendar events you need. Then click Recover. Step 5. Click Open in the pop-up dialog to choose a target folder. Then click Go to extract calendars from iCloud backup. When the recovering process is done, you will get the recovered calendars in the target folder. The calendars will be saved as an HTML file, and can be viewed on computer with Internet browser or Notepad. 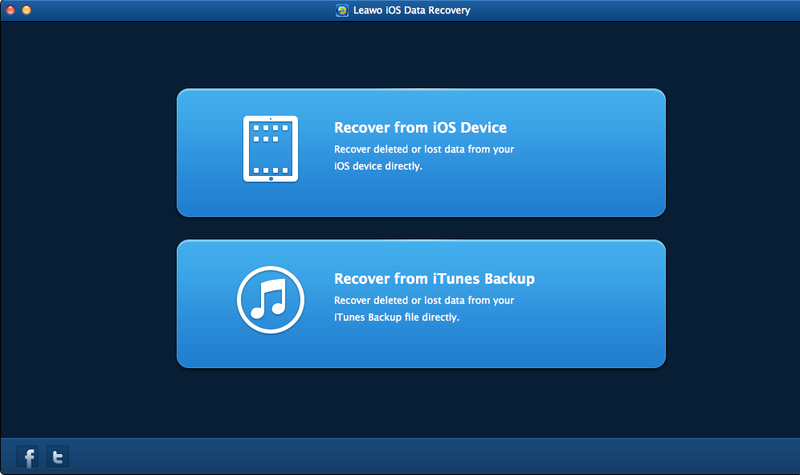 Leawo iOS Data Recovery is not only helpful for the data recoveries of iOS devices, but also helpful for backup iPhone, iPad and iPod touch files to computer, for example, you can back up photos from iPad to computer with this software. If you are interested just free download it and have a try. Are iPhone Unlocking Sites Reliable?